The RPGMaker series recognizes that events occupy a single tile space on the map. However, this includes events that have been assigned graphics that exceed the tile borders. This system allows you to set the number of tiles an event can occupy. This system also recognizes that oversized events may become blocked if they are too wide to fit through impassable areas. And it recognizes the area-size of oversized events which may be triggered, even counters. Plenty... inside the script itself. Demo includes the Events Always Under script as well. Designed for RPGMaker XP. Rewrites the passable method in Game_Character, the start method in Game_Event (minor change that it is), and event trigger methods in both Game_Event and Game_Player. It's crazy, this script rescued my game right now. My new flight-maps have a 200x200 size and all map borders have to be filled with transfer player events to other flight maps with the same size. So just all these transfer events would make an amount of 800 events just for that. I would've only 199 events left for others things like enemies, NPCs, objects and so on and that would never be enough. Thanks, I will surely add this to my game's script list. Melana? Perhaps switch the position of the scripts. I am thinking you placed this version of Near's antilag underneath this script. If that is the case, paste the antilag script above Immense Events. They only share the one Game_Event class, though they do not appear to be sharing the same methods. Mine actively changes the 'start', 'check_event_trigger_touch' and 'check_event_trigger_auto' methods while this altered version of Near's attaches code to the 'initialize' method. Hmm I've placed Immense Events under all others scripts and maps with many events are laggy. If I remove Immense Events the lags are gone. Another thing, is this set up so that events that are say 10 tiles by 10 tiles, and have the original square off the visible screenport, stay? as in, are the CORNERS of said massive event still visible? First, to Trailman. This modifies classes that are involved in the Field map: Game_Character, Game_Event, Game_Player and Sprite_Character. 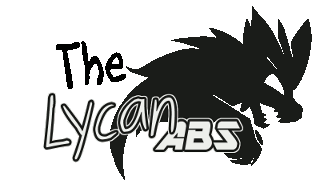 So, why would this interfere with your battlesystem... is it a field map ABS system such as my Lycan ABS? 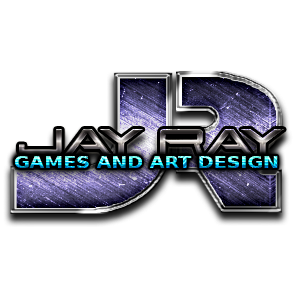 Second, I think I gathered what you suggested JayRay. You're concerned that an event outside of the viewport would still have an impact within the visible screen. Such would be like a 5x6 blocky area that you want visible, and the central event that draws it no longer in the typical 20x15 tile area. Yep, the drawn event is still present. And not only that, but it can still be triggered. Quick Question - Does this work with Mousie? Like if Mouse Move is off and you roll your mouse over an IMMENSE SCRIPT, will it allow the whole of the event to be clickboxed?